Perfume―a 3-member techno pop unit whose name is unknown to nobody in their home country of Japan. The J-pop trio embarked on their “Future Pop” arena tour last year―their 7th tour to date―which began on September 21, 2018 and took them to 9 locations across Japan for a total of 18 concerts. They subsequently played live on the 69th NHK Kōhaku Uta Gassen on December 31 with their performance being streamed live. Their sixth album Future Pop which the tour is named after made it to No. 1 on Oricon’s Weekly Album Charts on August 27. In both name and reality they stand unshaken as a group representing Japan. Thanks to streaming services such as YouTube and Spotify, Perfume’s international fame and recognition has surged into the stratosphere. Their growing popularity recently led them to embarking their 4th world tour Perfume WORLD TOUR 4th “FUTURE POP” on February 23 this year to Asia and North America. This marks almost four years since touring Asia and two-and-a-half since the US. It’s safe to say then that 2019 will reign once more as the year of perfume for overseas fans. With Japan being home to so many girl groups, why is it that Perfume has rooted themselves to strongly overseas? One answer points to their authentic electro sound which bursts intently with originality. Another is their dignified dance performances which are so tight that one might think them to be androids. This, combined with their live shows which incorporate digital media art using experimental and cutting-edge technology. The entertainment value of girl groups has changed since Perfume came on the scene. All of today’s idol groups and girl units take great influence from Perfume. Perfume’s music has real intention behind it. It’s the real deal that has impressed even the most crazed music lovers and audiophiles. Their discography―from their indie era debut in 2003 to today―has been entirely produced by Japanese record producer, composer and DJ Yasutaka Nakata. The songs he crafts, from techno pop to electro, have affixed a new kind of value to J-pop that never existed before. He has been able to take dance music made for club-goers and transform it into a type of J-pop that is able to reach all listeners. His music has and continues to receive high praise not just in Japan but around the world. Perfume’s latest album Future Pop which was released last year made it to No. 1 on the iTunes Electro Charts in 20 countries. Their previous album Cosmic Explorer even ranked 16th on Rolling Stone’s 20 Best Pop Albums of 2016. Another factor as to how Perfume has captivated the world is their choreography which mix cuteness with sci-fi, robotic-like moves. Their choreographer is MIKIKO who created the “Koi Dance” in the music video for Gen Hoshino’s hit song Koi, and who has been appointed as part of the planning team for the opening and closing ceremony of the 2020 Summer Olympics in Tokyo. The three members of Perfume have received guidance from performers who are active internationally since their days at Actor’s School Hiroshima. Their music is irregular, and all of them are able to dance complex moves in formation while wearing 8cm heels. They are conscious of every single motion right down to the tips of their fingers. That is true art. We mustn’t forget Perfume’s concerts, another part of their successful appeal, which make use of the latest technology. Their shows have been directed by Daito Manabe, an artist, programmer, designer, DJ, VJ, composer based in Tokyo who is the spearhead of Rhizomatiks, a Japanese company which uses the arts and technology to produce large scale artistic projects. Whether it be their on-stage performances or music videos, Perfume have given us insight into and let us experience the near-future. In 2017, the group collaborated with docomo to put on a very special show to connect their performance around the world in Tokyo, London and New York. Using hyper-realistic visuals, fans were able to experience as if Perfume were actually there in front of them in spite of the 10,000km distance. The girls have continued to pull us into a new world, something that we have not experienced with any other artist, through their projection mapped live performances, illuminated outfits, and more. They were extremely well received at SXSW in 2015 too, only solidifying their place in the music world. 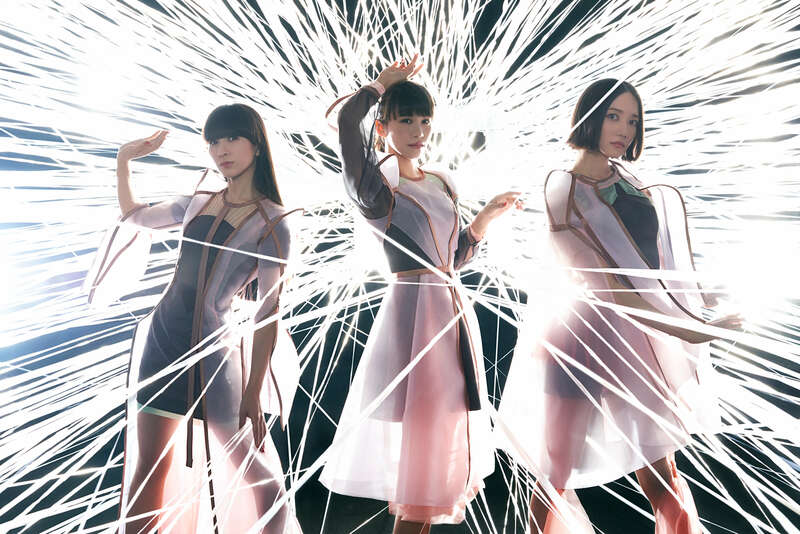 Perfume have continually carved a path of originality on which left their strong presence both in Japan and overseas. They are now set to perform at Coachella Valley Music and Arts Festival in California this April, an event which celebrates its 20th anniversary this year. Perfume, too, will celebrate their 20th anniversary in 2020. We can rest assured that they have no signs of stopping their fiery force as they approach this historical milestone. Perfume’s new single “Everyday” 360°MV released! Perfume×docomo / A project using the latest technology will be broadcasted live all around the world!! Perfume to perform for the very first time at Yasutaka Nakata’s music festival “OTONOKO”!